Taglines: Stanley Ipkiss is not the man he used to be. According to his memoirs Gary Kemp turned down the role of Tyrell in order to film Magic Hunter. Mask: [about to attack the mechanics who cheated him earlier] Hold on to your lugnuts, it's tiiiiime for an overhaul! 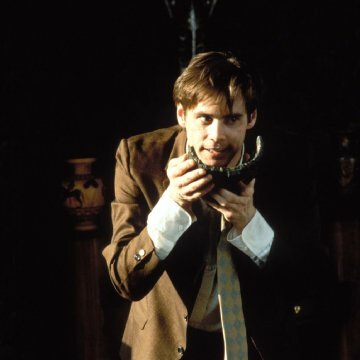 Stanley Ipkiss (Jim Carrey) is a bit of a dorky pushover. For example, he buys hot concert tickets to try to get a date with a fellow bank employee he's been pining after, but she easily scams him into keeping the tickets for herself, and he is too weak to publicly object. But when he comes across an ancient mask of Lodi long ago discarded by Vikings who tried to bury the "troublesome object" at the "end of the Earth", he discovers it has the power to unlock his true self--suave, smooth-talking, manic, a bit dangerous, and a hopeless romantic. 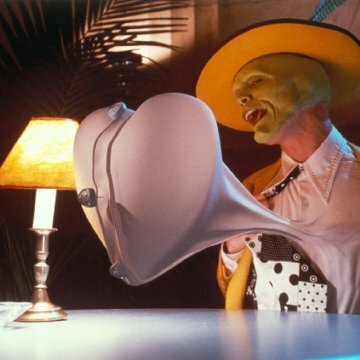 The Mask was a perfect vehicle for Jim Carrey. It not only allowed provided the perfect justification to flamboyantly engage in his rubber-faced antics in a manner even more over-the-top than what he'd become famous for, but it provided an opportunity to stretch his acting chops towards a more serious side at just the right time in his career, paving the way for later work such as Man on the Moon (1999), The Majestic (2001) and Eternal Sunshine of the Spotless Mind (2004). 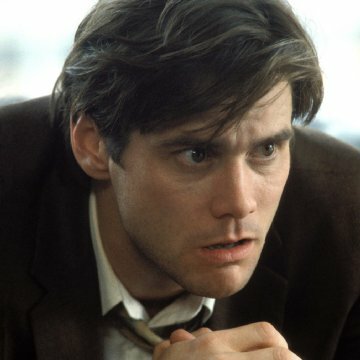 The success of the film wholly depends on Carrey, as he has to sell his characters' frenzied insanity so that it's believable as a reflection of Stanley's inner self while at the same time likable but teetering on the edge of becoming obnoxiously overbearing. Of course, the amazing special effects and make-up help, as well as the clever script and more than competent directing and cinematography, but with the wrong actor in the part, the whole affair could have easily collapsed. The other cast members are fine in supporting roles, with Cameron Diaz coming across as being almost otherworldly beautiful, but Carrey is rarely off-screen, and rightly so. The Mask is notable for both spoofing almost the whole history of cinema while at the same time respectfully paying homage to it. The audience is treated to everything from silent film slapstick to lavish musical numbers (with excellent songs), frenzied Tex Avery-styled animation to gangster film suspense. On its surface, the film is a crazy, often funny, hyperactively paced cinematic pastiche. The subtext about identity and public faces versus private selves is interesting, but not the focus. It would be fine to explore further, but to do so in this particular film would have taken too much time away from Carrey's surrealistic tour de force. Besides, we've had later films where that subtext has been closer to the heart of a story, such as Catwoman (2004), and where it was very thoroughly and competently dealt with. 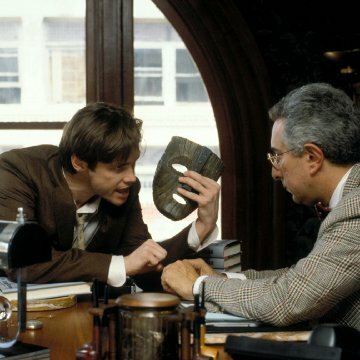 Many aspects of The Mask differed from the comic book source material, but this is a case where the changes led to such an excellent result that most people have forgotten about the source material and primarily remember Carrey's performance in this film as definitive.